Darts’ World Matchplay Championship at the Winter Gardens is warming up nicely in sunny Blackpool, with 32 challengers quickly whittled down to a group containing arrows luminaries such as PDC champ Michael van Gerwen, Phil ‘The Power’ Taylor and Adrian ‘Jackpot’ Lewis. Grinding out profits from Van Gerwen and 2007 winner James Wade’s last-16 matches looks a tough ask, with the pair each priced up at 1/5 to see off Ian White and Richie Burnett respectively. With that in mind, we’ve lumped together two tasty outsiders in a double that will pay out at more than 9/2 if they can do the business. Read on to see why. Chisnall made his name by knocking out 14-time PDC world champion Taylor in the second round at Ally Pally in December 2011, and made it all the way to the World Grand Prix final just under two years later, where the 33-year-old was whitewashed 6-0 by the same opponent. However, Chisnall has suffered first-round exits in two of his three attempts to take the World Matchplay prize, with the St Helens flinger finally making the last eight last season before crashing out to MVG. Hamilton has made the quarters in each of the last two campaigns, having reached one stage further before meeting Taylor in 2011, so the 47-year-old gets our nod at a backable price. ‘Barney’ bounced back from a poor showing at the worlds to take the Premier League title in May, but the affable Dutchman’s record in this event leaves much to be desired. Maybe the fish and chips on Blackpool promenade just don’t go agree with him, because Van Barneveld has gone out at this stage in each of the last two seasons, while a runners-up prize in 2010 and four quarter-final exits are all the 47-year-old has to show from his north-west excursions. 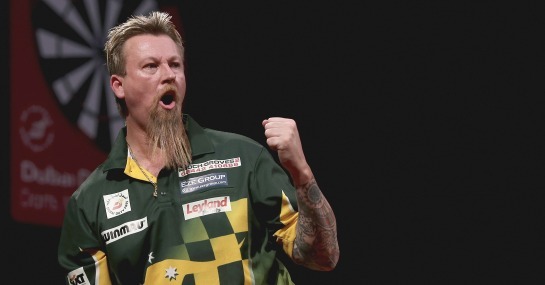 Whitlock, on the other hand, made the semis at the first attempt in 2010 and hasn’t done too badly since, bar a first-round exit to Van Gerwen in 2012. At 5/4 and after handing Kevin Painter a 10-6 beating in the first round, the Aussie ‘Wizard’ has to be the tip for this clash.